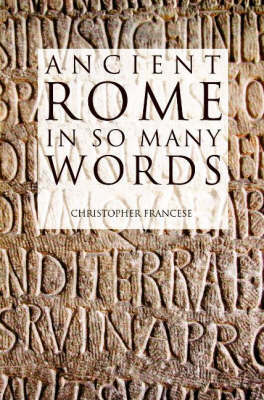 The brief word-histories in this book are meant to provide background on some words that everyone learns when they study Latin, as well as some rarer terms that have interesting stories to tell about Roman culture. This book lists a new word or phrase that came into American English every year from 1975 to 1998, with a selection of early additions from 1497 to 1750, and discusses the history behind the adoption of each. Teachers and students of Latin can benefit from the slightly more formal, but still anecdotal, approach taken here to some key words in the Latin lexicon.